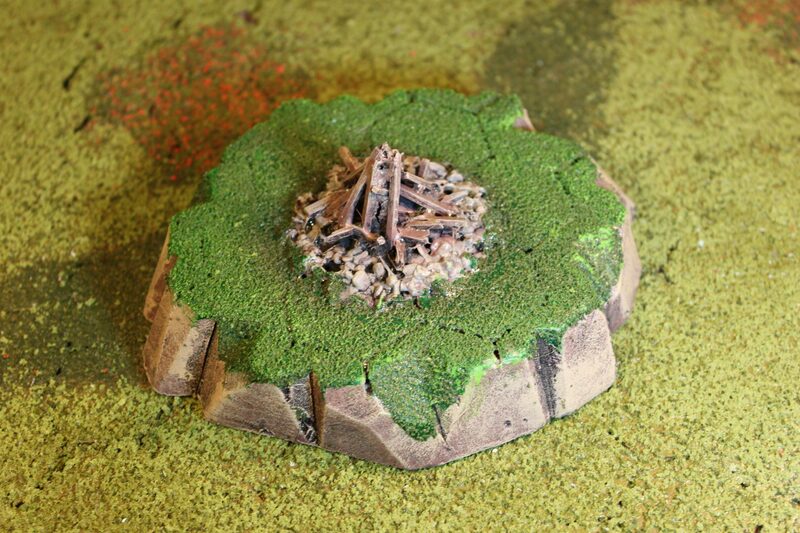 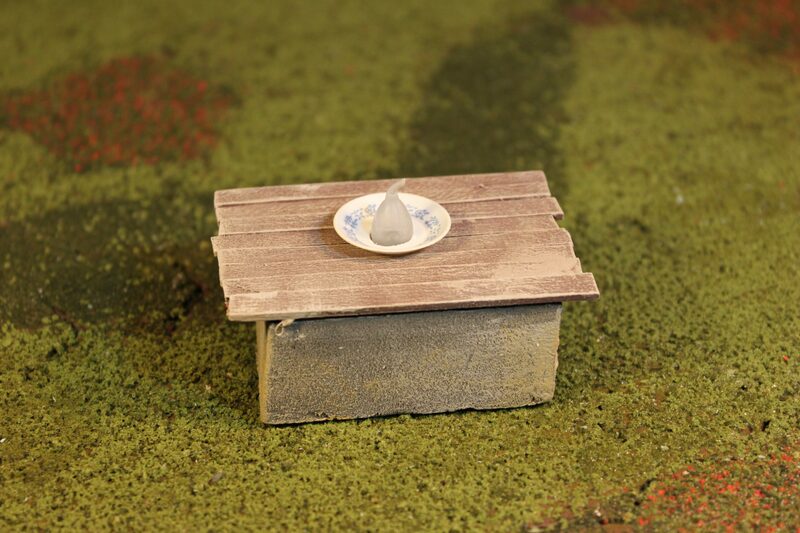 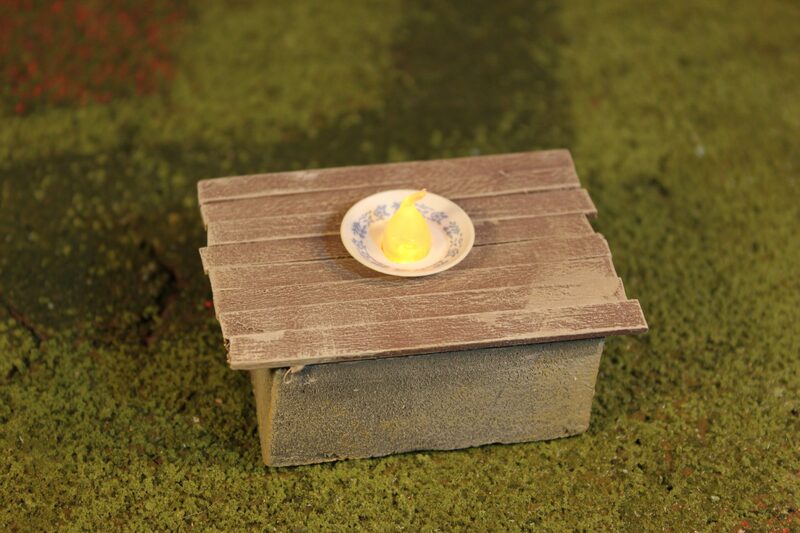 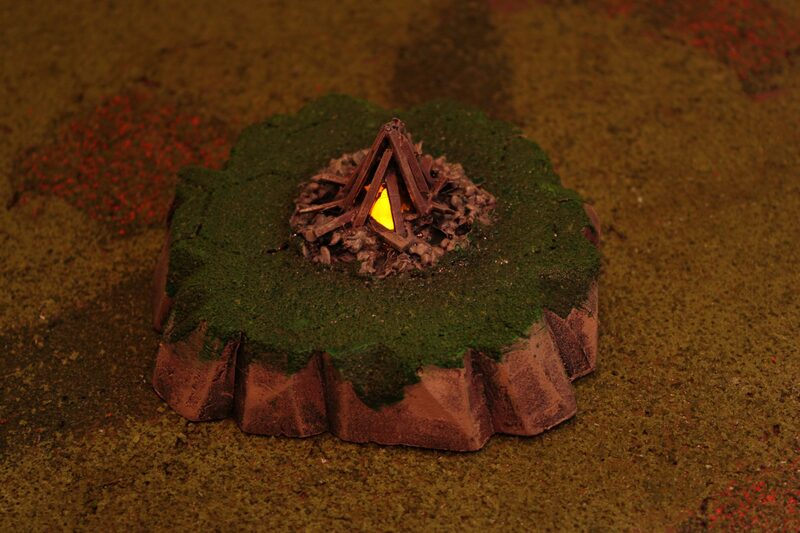 I guess the easiest and most common way to use tea lights as terrain scatter, is to wrap or paint them as is so you essentially get tea light shaped objects such as the lights in use for my Posh Ball Terrain Board set. 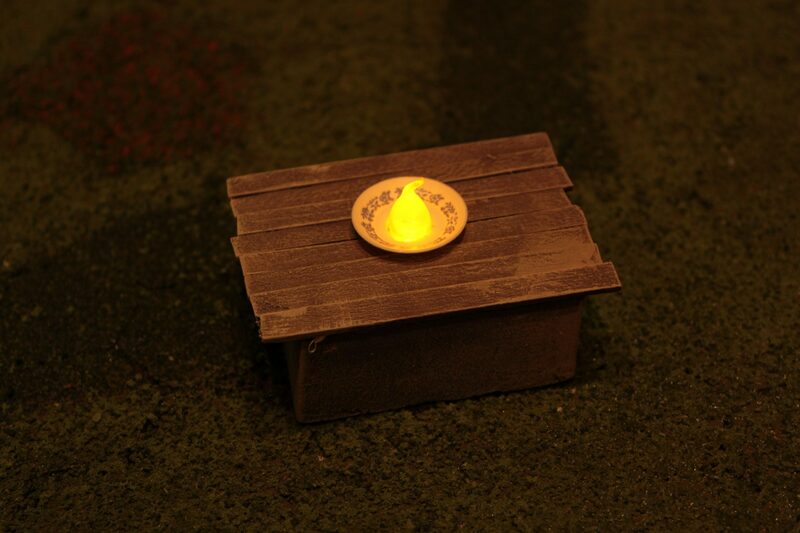 But I wanted to try something else that would hide the tea light shape a bit better. 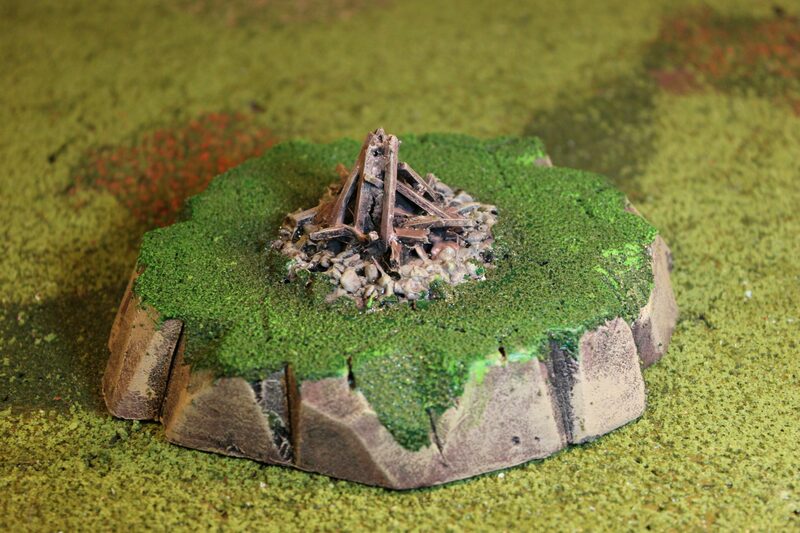 My first go was this small hill with a camp fire. 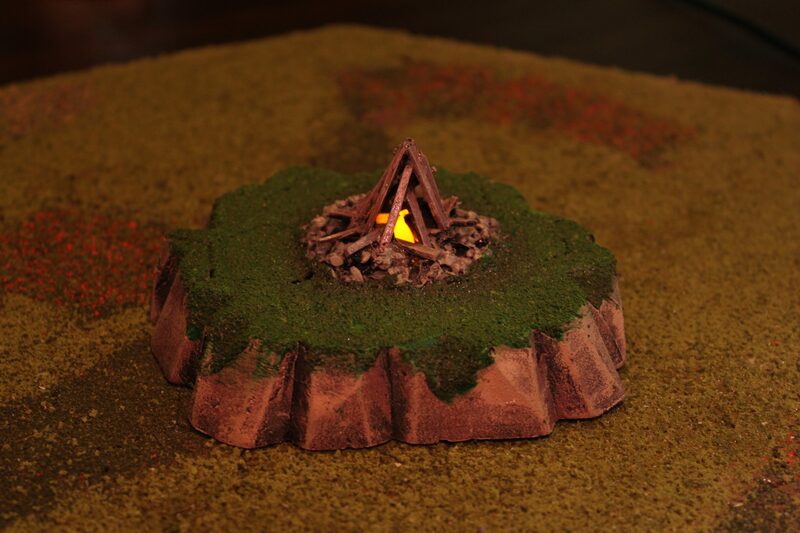 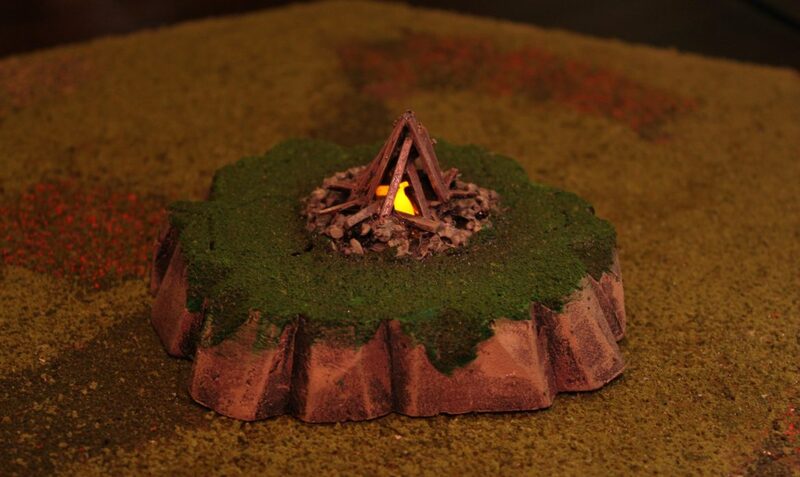 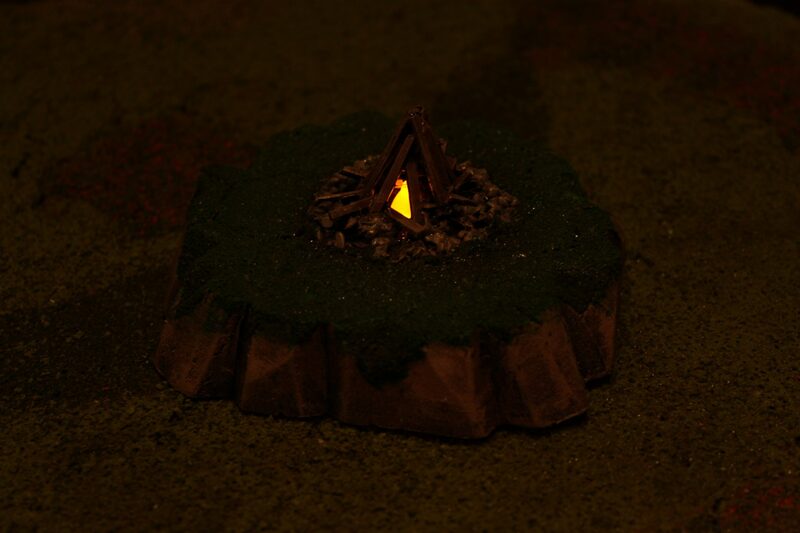 The tea light is hidden in the hill itself so only the flame sticks out and gives the camp fire a glow. 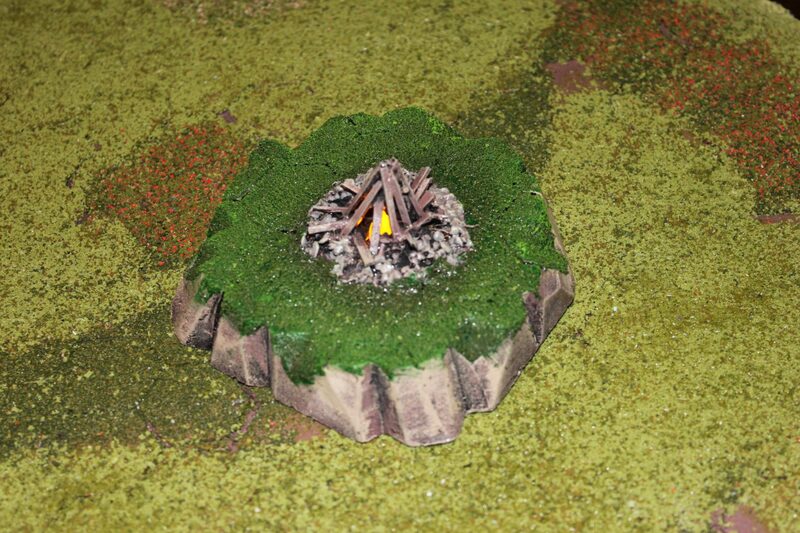 The second piece is a simply, bit shabby stone table / altar with a plate that holds the flame. 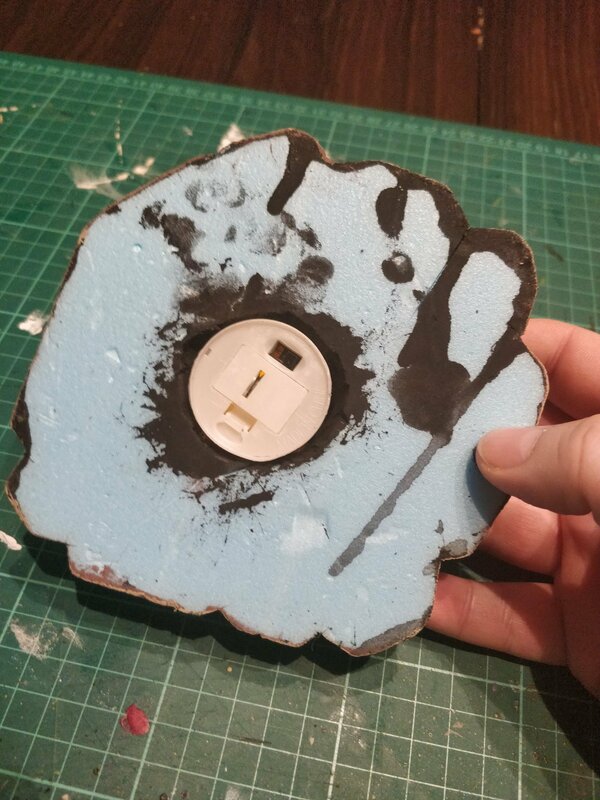 The plate is from a dollhouse set.